According to the school’s enrollment statistics, African-Americans make up 3.8 percent of the student population. In the video, Stokes points out that black males make up 3.3 percent of the male student population, and that 65 percent of those black males are undergraduate athletes. Of the incoming men in the freshmen class, only 1.9 percent of them were black. 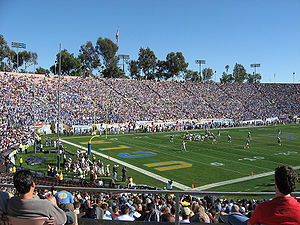 In an interview with the Daily Bruin, Stokes said he almost dropped out of UCLA during his first year because he felt isolated and uncomfortable. Although he eventually found his niche in the minority community, he said he wanted to raise awareness about the school’s lack of diversity before the university’s application deadline on Nov. 30. “We had to do something to put our issues on the map,” Stokes said.